If your body is craving something healthy and tasty, but there is no room for cooking in your overcrowded schedule, it is time to give meal delivery services a shot. Check out our Snap Kitchen VS Balance By BistroMD comparison and find out which one to trust with taking care of your diet. Enjoy amazing meals, hassle-free! 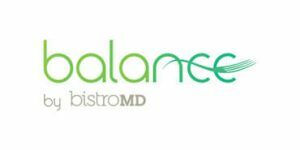 Balance By BistroMD is a convenient, budget-friendly weight loss solution that allows you to shed pounds by enjoying well-balanced meals that suit your unique dietary needs. Balance By BistroMD has one weekly menu for its patrons to choose from. Balance By BistroMD lets you choose from 100+ seasonal meal options on its menu. Balance By BistroMD offers a multitude of healthy, low-calorie breakfasts, lunches, dinners, and snacks suitable for different diets. It provides diabetic-friendly, senior-friendly, menopause-friendly, heart-healthy, dairy-free, gluten-free, low-carb, and vegetarian meals suitable for weight loss. The meals are mostly classics, with no particularly exotic dishes on the menu. Balance by BistroMD promises to use only fresh, top-quality ingredients in order to create healthy and tasty meals. It freezes its meals at peek freshness to preserve flavor and nutritional value. Balance By BistroMD meals contain between 240 and 400 calories per serving. While low in calories and portion-controlled, the meals are satisfying because they are rich in protein. Furthermore, the meals are nutritionally balanced, with 20-25% of calories coming from healthy fats, 30-35% from complex carbs, and 40-45% from lean protein sources. To cancel or change your order, you must notify Balance By BistroMD as soon as possible. Balance By BistroMD may provide refunds, but keep in mind that it will not give you a refund if you are simply unsatisfied with the taste of its meals. The review from this site has some inaccuracies on prices of food and how items are sent. They are discussing prior shipment boxes and not current ones. The website is quirky and not always user-friendly. It varies between users and a concern from individuals. Some meals are higher than 400 calories. There are issues with FedEx and delivery. It is confusing when you first order and more info is needed or clear info on the website. Food overall is good. It is pricey, but you are paying for convenience. The main issues are related to packaging. They are broken routinely when they arrive or unsealed. They address it, but it is inconvenient that FedEx does not care for packages correctly. There is quality that is inconsistent at times. One week the same dish is great and a week later it's not as good. Lastly, the support Facebook is great but if someone shares a concern with the product posts are closed. I know it's really for support, but some of that info is helpful. Some is not, but when it seems sensored then makes it a concern. I became tired of cooking and bored with preparing the same dishes over and over. Then I discovered Balance by BistroMD and gave them a try. I love that I can order what I want and when I want it - no subscription commitment required. I love that ordering is easy and delivery is fast. I love that I don't have to prepare anything other than popping a tray into the microwave. Most importantly - I love the food - it's delicious, fresh, healthy, and satisfying. I was a bit skeptical at first, but after receiving my first order, I'm certain I've made a good choice. My son is allergic to gluten and I thought we finally found a meal delivery we can all enjoy. Unfortunately, I didn’t know they use nuts for so many dishes, so I had to stop ordering for myself. The rest of the family is satisfied, though. Balance By BistroMD is an innovative meal delivery service focused on healthy and highly personalized meal plans. All the meals are chef-prepared, doctor-approved, and delivered right to your doorstep. Whether you want to lose weight or just lead a healthier lifestyle, find out more about this impressive service in our Balance By BistroMD review.